The docks are first rate, the dock hands terrific. The WiFi is very spotty, even with an Island Time booster. Why the shower and bathrooms are deplorable, I can't figure out. The place is doing a gang-buster business, surely they could afford to upgrade to at least slightly sub-standard. I suppose it's just par for the course with marinas. Snotty employees! I was not impressed with an employee or upper managements attitudes. They acted high brow and like they was better than others. I asked a question in regards to bait that they sell and they was very rude. This is a very enjoyable harbor cruise. You can be inside or outside or downstairs. The food was delicious and the staff was very friendly and helpful. Found all of the staff here to be very helpful, personally I shopped the inside store, but it is a marina with rentals available if you should chose to experience the waters around Marco .............Lots of marine items and Florida clothing if I'm allowed to reference Columbia shirts nice selection. My daughter & I went on the Lunch Cruise. 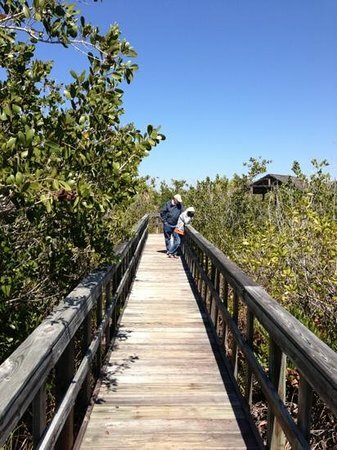 The captain narrates facts about the plants & animals surrounding Marco Island and the 10,000 islands. It was very informative. The lunch served was ham, turkey, roast beef, caesar salad, potato salad, chips, and chocolate chip cookies for dessert. Overall it was a little pricey (watch out for the port fees) but we were glad we went and we had a great time. Beautiful marina with great dock masters! Husband and I love this marina and have brought several friends to dock here. Live-aboards are welcome as well as transient boaters. Call on Channel 16, "Marco Island Marina" to make a reservation. 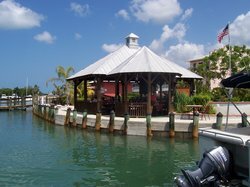 It is separate from Marco Island Yacht Club.